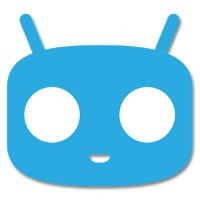 The CyanogenMod team has been working on a secure messaging component for the popular ROM in recent months, and the time has come for some real world testing. The new encrypted WhisperPush messaging system is being rolled out to CyanogenMod 10.2 nightlies for compatibility and server load testing. If all goes as planned, it will reach the CM11 branch soon. CyanogenMod's secure messaging is an implementation of TextSecure, a cross-platform encrypted SMS platform maintained by Open WhisperSystems. The CyanogenMod version of TextSecure is being handled by the lead engineer from Open WhisperSystem, Moxie Marlinspike. This isn't the same as just bundling an app with the ROM, though. CyanogenMod will implement SMS middleware powered by TextSecure to encrypt all messages sent to other CM or TextSecure users automatically. This allows you to use any SMS app and still get the benefits. If it's a regular number, your SMS will just be sent normally without encryption. Once this technology is rolled out to all current versions of CyanogenMod users will have more secure messaging without any additional hassle. Cool, right? The source code is also being made public so interested parties can take a closer look at the cryptography.